Looking to take the family away but need some inspiration? 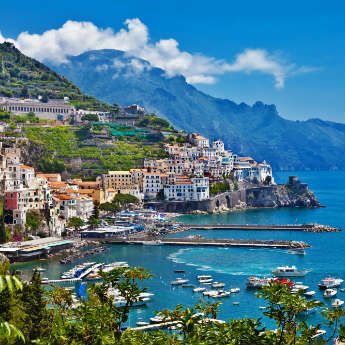 Take a look at our top 5 family friendly destinations to visit. Only a 2.5 hour flight away, the island of Majorca is packed with fun things to do. This Balearic island has hundreds of budget hotels that offer kid's clubs, evening entertainment and daytime activities all on site. There's lots to do outside of the accommodation facilities too; from the popular Aquapark in Magaluf, to theme parks, safaris, and even the opportunity to ride a segway along the picturesque promenades. Majorca really is a great place to spend some quality time together as a family! Compare deals for your family holiday to Majorca. 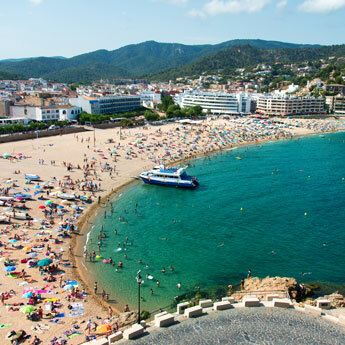 Salou's beaches are definitely the city's main attraction, with clean open spaces to enjoy the long sunny days on; it's really popular with families with small children. The buzzing atmosphere is felt throughout the city with weekly theatre performances, bright lights and water fountain shows. With go-karting also on the agenda here it's also the perfect place to let your inner adventurous side out. It's only a 2.5 hour flight too, perfect for that family break. Check out some great holiday deals to Salou. Situated in the Ionian sea, this Greek island is packed with restaurants, cafes and ice cream parlours that cater for all your children's taste buds. Visit the Corfu Aquarium and the Pyramid Adventure Park for some great days out that won't break the bank. The Sidari Water Park is also worth a visit with an array of rapid water slides and pools to put a smile on everybody's face for just €5 per person. A 3.5 hour flight, Corfu is guaranteed to give you that ultimate family holiday to suit all ages. Find your deal for fun in the sun in Corfu. A budget holiday to Sharm El Sheikh offers endless things to do including the Aqua Blue Water park, go-karting, boating and snorkelling. One of its best rated attractions is the incredible opportunity to swim with dolphins. Even Sharm El Sheik's neighbouring resorts are jam packed with lots to do, with plenty of excellent accommodation for all budgets. With the longest flight at 5 hours, Sharm ideally suits families with children over 5. Find your perfect family getaway to Sharm El Sheikh. With hotel chains dedicating themselves to ensuring everybody has an amazing holiday; it's no surprise families keep on visiting Marmaris year upon year. With a 4.5 hour flight, there's always something happening on the beaches of Marmaris, with boat rides and water sports galore. The adventurous resort features a turtle beach, a water park and the chance to ride jeep safaris to experience the local culture and visit the wildlife hotspots. Compare Marmaris holiday deals for your family.